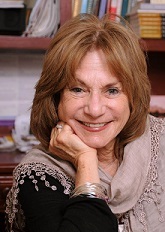 The Gong – Judith Ruskay Rabinor, Phd. “It is so beautiful,” he says. “How did you find it?” I shrug. He persists. “Where did you get the idea?” he continues, picking up the cloth-covered mallet. He softly touches mallet to brass and a low note reverberates as the gong sways, back and forth and I am reminded of a cold day in February. Beth Israel Medical Center: I am attending a Caring for the Caregivers group comprised of therapists, survivors, mourners. We, a group of 90 people, are experimenting with musical instruments. Our instructions are vague: see what calls out to you. We have been asked to think about how music can express the inexpressible. A woman with short gray hair begins to talk. Hugging a huge gong she tells a story that has seeped into my pores. Her son, a young man in his 20’s has perished in the Word Trade Center rubble. “I chose this gong because it reminds me of him,” she says and recalls how as a small boy he would bang– loudly and gleefully –on a similar gong that stood in the foyer of their home. “I can still hear my voice saying, “Stop gonging! !” she says and her voice cracks. I wonder how many losses echo in the room, in the city, in the world. Mourners and caretakers of mourners are silent She hits the gong again and my throat fills as I am choaked with rage and awe, overcome with a sense of ageless grief, terror and beauty. We are only blocks from the mass grave that has replaced the world trade center. The collective sense of community builds as the weeks pass. To mourn with others is different than being alone. We sit in silence, we chant, we listen to one another. Music engages us, comforts us, unites us. We hear each other’s stories, learn about grief and techniques to heal grief. We tap into our own suffering, resources and strengths. Leaders, invited speakers, mourners and caretakers meditate together, mourn together, make music together. For many sessions, the gray haired woman picks the gong. Few go near it, as if by silent consent it is hers, a sacred instrument. As the weeks pass and I explore the instruments that call out to me, I keep my eye on the woman with the gong. One week I see her laughing, the next week she is bereft. Such is the process of mourning and recovery: One week I find myself banging on a raspy tambourine, the next week I am comforted by the soothing sounds of the Ocean Drum. Anna, a patient of mine takes my suggestion that she might find solace in the flute; I am delighted to have been helpful. After one session I find myself borrowing my daughter’s guitar; in reclaiming the freedom songs of the 60’s I open an old wound of my own and relive the tragic death of my fiancée Michael, killed in a car accident at age 25. Such is the never-ending process of mourning. Tragedies are teachers and what I learned again is that the process of telling our stories is the vital element at the core of the healing process. Each time a person tells their story, they have the opportunity to see, hear, respond to and get a handle on it from a completely different perspective. Simply by being present and witnessing a person’s sufferings, vulnerabilities and strengths, therapists of all persuasions facilitate growth and healing. “Words are a lantern that light up the dark places in the soul,” wrote Merleau Ponte, the great French philosopher, and so can music What is remarkable, is that in facilitating our patients’ healing, we grow too; in helping others make more room for their sorrow, they make more room for joy; in being present to their experiences, we expand as well. It has been said that every story you have ever lived is alive inside and at the right moment it emerges. Since 9-11 I am aware that the strongest need for so many of us is to share our stories—of survival, compassion and courage—and create new ones.. My experience in Caring for the Caregivers has reminded me that music is an incredibly powerful tool to connect us to ourselves and one another. The gong in my apartment is a permanent tribute to the power of music as a tool of connection, remembrance, reflection and renewal.